thomasoneil.com Around New York City 2012: Transit of Venus, taken in New York City, June 5, 2012. I was on extended assignment and didn't have my big scopes or camera, so I took this with a small handheld camera through my binoculars, which were covered by a solar filter. 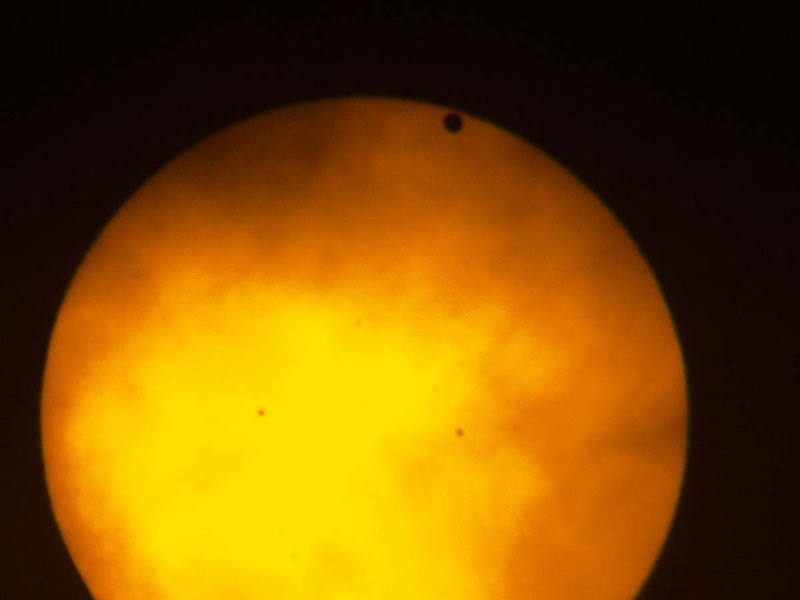 I have some somewhat better photos from the 2004 transit. Transits come in pairs separated by long gaps, so the next transit will not occur until 2117. [#6623] Click on image for next photo.